Hello! Sorry I've been M.I.A for a while, I got swamped with work and then I went away! 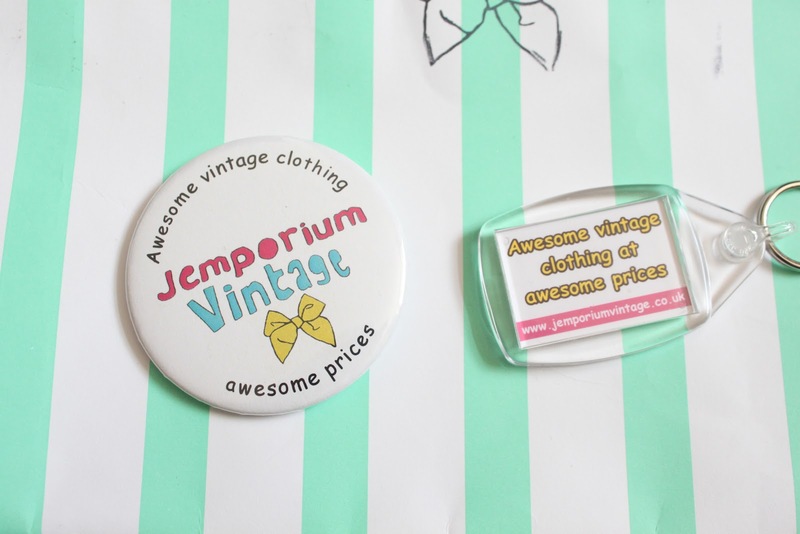 I'm back now and I'll have a few new posts for you this week and will also have a jewellery update for my shop! I want to tell you about a shop I found while away in Cambridge. It's a cute little vintage shop on the corner of Grafton Shopping Center. 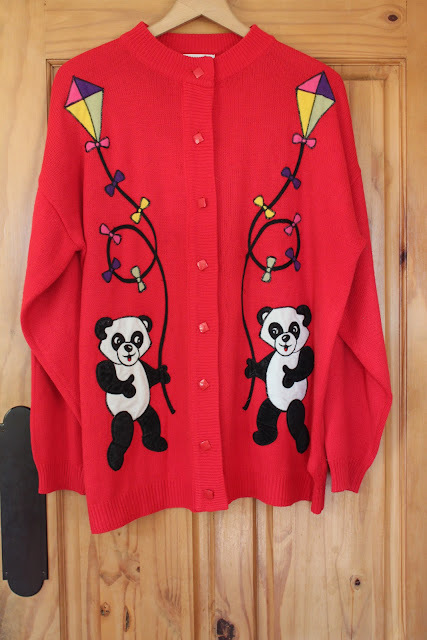 I don't usually find things I want in vintage shops because I tend to only want kitschy / twee things, which are either hard to find or never my size. I was attracted to this shop initially for the name. 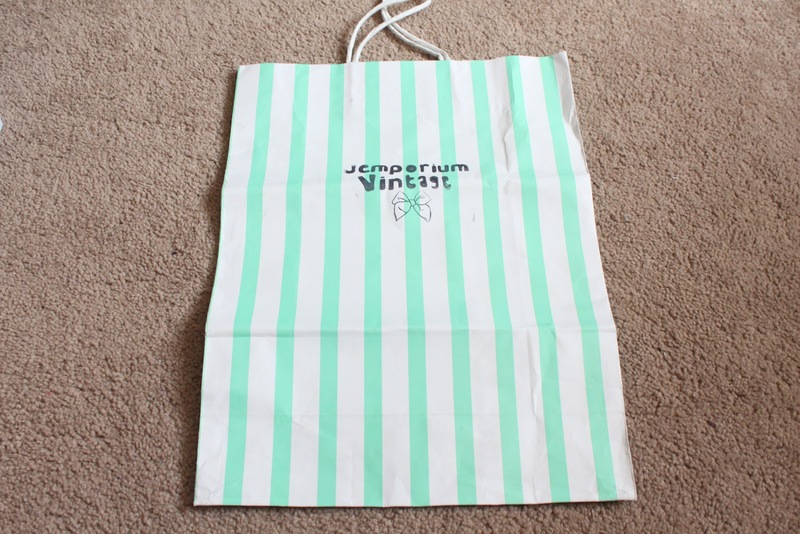 "Jemporium Vintage" It felt a little more personal then your average vintage shop. I also learnt afterwards when reading their website that they search extensively for the best bargains so they can offer good prices, and the best quality products. I also really liked that they stock such a range of sizes (from XS - XXL). I'm not entirely sure who owns the shop (I can assume a girl called Jem!) When I went, there was a girl there working and her mum was there too (Giving her a shoulder rub! If only thats what every job could offer) So I can assume she is Jem. 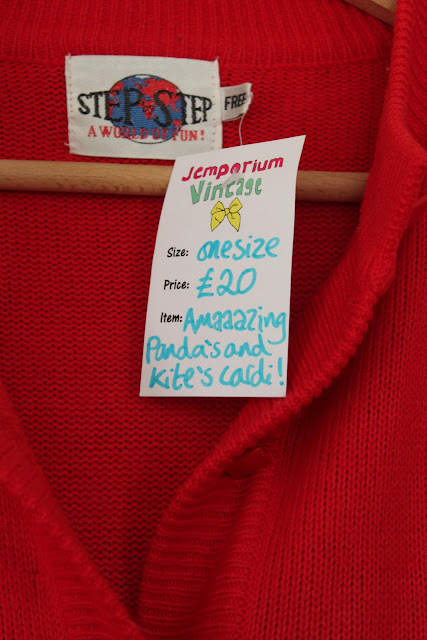 The girl was really lovely, I tried on the cardi and went to purchase it. It came in this adorable white and mint striped back with Jemporium Vintage hand stamped on it. This is an amazing shop and one I will also visit whenever I'm in Cambridge!